When we are relaxed, stress-free, we are able to restore our natural ability to heal.Long term practice of whole-body reiki will restore the general condition of the body.It will open the energy channels and this will allow the body to deal properly and naturally with stress and build-up toxins and cope with anxiety and depression. Reiki will also provide additional energy required to recover from illness.A Reiki healing session can induce an extremely comfortable state of being that can bring alteration in the clients consciousness. If used with other natural therapies (meditation, crystals, aroma therapy, Bach Flower remedies, homeopathy, etc.) Reiki will reinforce their effect.It can be used also as complementary therapy, because Reiki is truly a complementary care. It complements and enhances the health care the patient receives in the hospital or from other health care providers. Reiki healing complements Eastern and Western medicine and everybody can benefit from it.It is beneficial to the health of woman (even pregnant), man, children and it is also excellent to be used on animals (dogs, cats, horses), plants, water, etc. Reiki healing energy is a tool for use at any moment, any time, any where for on-the-spot stress release, pain relief and quick energy. This natural healing modality originates in Tibet. The name "Reiki" (rey-key)comes from the technique as re-discovered by Dr. Mikao Usui, a Japanese Buddhist in the early 20th century. "Re" means "Universal" and it is a general term for spirit or unseen spiritual quality, which serves as channel for "Ki" or "Life Force Energy" (some call it God, Buddha, Chi, Qi, Prana, Love Energy, or similar). It relates to the superior, all-encompassing cosmic energy from which all other minor energies in the universe draw their power. Everything in the Universe is made up from energy particulars which form the Omniscient, All-Knowing Blueprint for Creation. The Vital Living Energy Force comes in different manifestations of energy and one of these being the frequencies in which Reiki was born. The Usui System of Natural Healing teaches us also the "Secret Art" of "Inviting Happiness" into one's life which can be achieved by working with the Five Reiki Ideals and the Three Degrees of Attunements. The Five Reiki Ideals help us realize that improving oneself is an essential part of Reiki healing. The body is more than just a collection of functioning parts. Since everything generates a frequency, the body and its organs have their own energy field which is continually changing. All conditions of disease are rooted in this energy system. If our "life force" is low or blocked, we are more likely to get sick. But if it is high and flowing freely, we can maintain our health and well being. The Reiki practitioner assists the client to heal themselves spiritually, mentally, emotionally and physically by a simple laying on of hands. By the use of ancient healing symbols the practitioner channels the Universal Life Force energy allowing it to flow where is needed to bring the energy centers into alignment. DISCLAIMER: This site was created in order to share the information about the wonderful health benefits of the Reiki Healing Energy. It is therefore for educational purposes. Please note, that Reiki is not a substitute for medical care. Information on this site are not intended to diagnose, treat, cure, or prevent any disease.You should consult with the appropriate health practitioner in case of any medical condition. Chakra balancing healing: Learn how chakras affect your health,how to assess and heal them, also find chakra books and recommended resources. Reiki and Akashic Records: What is Akasha, How to access it, the eight chakra and the akashic records. Recommended Reiki Books CDs, Magazines,DVDs and Reiki Healing Music. Other recommended books, self improvement books, courses on compact discs.Shop at the Reiki Book Store. Aromatherapy and chakra health. Learn about aromatherapy and essential oils, how can they improve your chakra health and health in general. Find books and essential oil sources. 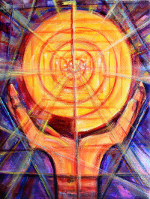 The Reiki Blog keeps you up-to-date with all the changes and additions to Reiki-for-holistic-health.com Web Site. Subscribe Here! FREE eZine subscription offer: Sign up for Natural Healing Newsletter and learn about reiki,auras,chakras, holistic healing,natural healing,alternative medicine,news,and occasional special offers..